These varieties are excellent for terrariums or dish garden containers! 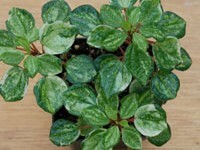 This ornamental plant has very small, thick textured, 3 lobed gray/green leaves closely spaced on thick, trailing, stems. 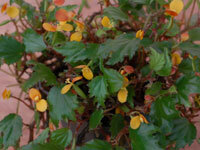 Tiny, dense foliage, 3 lobed, pointed green leaves, closely spaced on trailing stems. 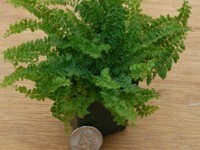 This little fern grows to a height of approximately 3 to 4 inches. Lush, medium green, frilly and bushy foliage. 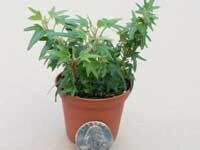 Miniature foliage plant that has an upright growing habit and branches easily! 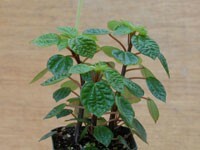 This variety also has an abundance of medium green, ovate shaped leaves, covering stems of maroon to brown in color. 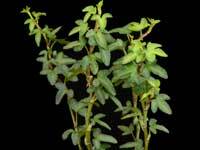 Miniature foliage plant that has an upright growing habit and branches easily! This variety also has an abundance of medium green and variegated, ovate shaped leaves, covering stems of maroon to brown in color. 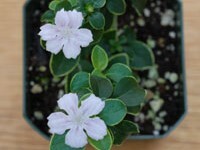 Small, pink flowers are produced upon tiny green, ovate leaves, variegated in narrow bands of white. Ideal for bonsi training.